Recommended Level of Play: Early Projection Parker is a Scholarship Athlete - Great feet, physical - Violent hands - Relentless edgy, very physical, explosive and demonstrates the ability to push the pocket. Strong weight room player with great feet. 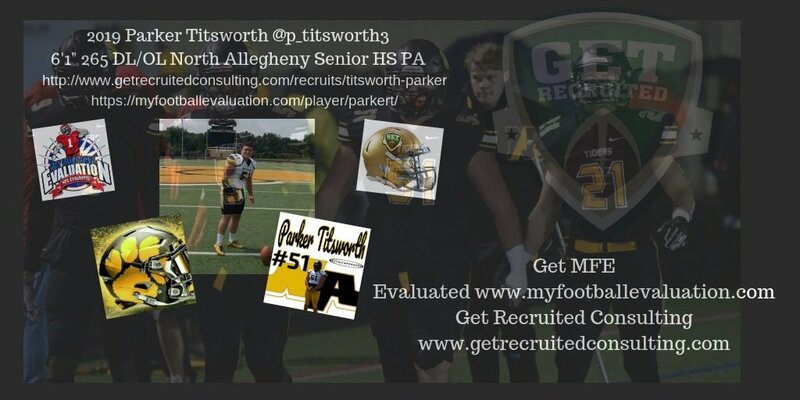 2-way starter at a top 6A Team in PA.
Level of Play Evaluation Scale: Evaluation of a High School Football player as it relates to Projected Level of Play, Impact at the College Level, Projected College Starter and Post College Projection. 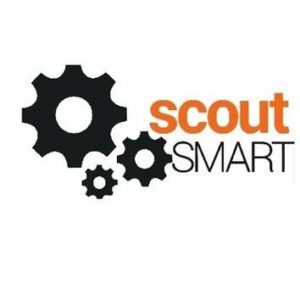 *Parker’s scoutSMART skill score of 6.8 and overall fitSCORE of 7.9 demonstrate his High Quality, skill and academics! Parker is a MUST see video with his edgy and intense style of play! Height: 6’1″ – 6’4” 40yd: 4.8 – 4.9 on Beam! 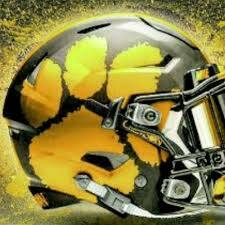 Coach Keys: * Physical Impact – Not quite the production or dominance of the elite FBS player displays very good dominance & over powers offensive lineman creating a new LOS at the point of attack. Very good disrupting & controlling gap, plays with very good leverage, demands double teams and wins. Very good technique is visual, on balance with hot feet. / *Versatile Efficiency – Displays very good quick twitch get-off with feet on the ground, very good motor that never stops winning the battling of the hands. Displays very good strike and separate and a great punch to the offensive lineman’s upper torso. Leverage with very good knee bend displaying the ability to jump off on screens! / *Pass Rush Ability & Motor – Displays very good ability to get push the pocket, wins most of the time on the edge and is aggressive to the QB. / *Demonstrates High Level Ability – Multi-year starter, All Area and All District with some National recognition from recruiting media. 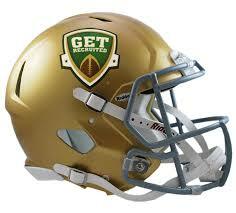 FCS Defensive Line: NG, DT’s & DE’s – Evaluation and profile will vary on Coach specifics of Front played! Height: 6’2″ – 6’4” 40yd: 4.8 – 4.9 on Beam! Coach Keys: *Physical Impact– Not quite the production or dominance of the elite FBS player displays very good dominance & over powers offensive lineman creating a new LOS at the point of attack. Very good disrupting & controlling gap, plays with very good leverage, demands double teams and wins. Very good technique is visual, on balance with hot feet. / *Versatile Efficiency– Displays very good quick twitch get-off with feet on the ground, very good motor that never stops winning the battling of the hands. Displays very good strike and separate and a great punch to the offensive lineman’s upper torso. Leverage with very good knee bend displaying the ability to jump off on screens! / *Pass Rush Ability & Motor – Displays very good ability to get push the pocket, wins most of the time on the edge and is aggressive to the QB. / *Demonstrates High Level Ability – Multi-year starter, All Area and All District with some National recognition from recruiting media. 1 – Elite Level – Video demonstration of the athlete performing the position specific skill criteria and technique at an elite level. Physical Profile at or above the preferred size metric determining level of play scale. Speed, knee bend, quickness and hip flexibility at or above preferred numbers or range metric determine level of play scale. 2 – High Level – Video demonstration of the athlete performing the position specific skill criteria and technique at a high level. Physical Profile at the preferred size metric determining level of play scale. Speed, knee bend, quickness and hip flexibility at preferred numbers or range metric determining level of play scale. 3 – Adequate Level – Video demonstration of the athlete performing the position specific skill criteria and technique at a fundamental and functional level needing work but adequate. Physical Profile at or near the preferred size metric determining level of play scale. Speed, knee bend, quickness and hip flexibility at or near preferred numbers or range metric determining level of play scale. 4 – Developmental Level – Video demonstration of the athlete performing the position specific skill criteria and technique at a developmental level needing work. Physical Profile below the preferred size metric determining level of play scale. Speed, knee bend, quickness and hip flexibility below preferred numbers or range metric determining level of play scale. Parker displays Elite Level instincts and read ability, Elite Level football vision, Elite Level ability to see flow and surface movement, and High Level point of attack speed. Parker exhibits Elite Level instincts reading OL blocking scheme, Elite Level taking on point of attack OL blocks, Elite Level hand strike and separation off OL blocker, and Elite Level as s physical tackler in the box. Parker displays High Level ability to open hips and run, Elite Level pursuit angles to the ball carrier, High Level ability to redirect and fit the ball carrier. Parker displays Elite Level hand use, Elite Level separation off block with 2 feet on the ground, Elite Level ability to redirect on balance, High Level violent strike of OL and physical, and High Level controlling the OL player with quick feet. Parker displays Elite Level functional display of core strength, High Level functional display of explosive speed, Elite Level effort to play with leverage and deliver a strike, Elite Level get off getting 2 feet on the ground before the OL gets 1, High Level signature pass rush move, and High Level counter off primary move. Parker displays Elite Level competitive edge, Elite Level effort to the echo of the whistle, and Elite Level hustle when play is away to get involved in play & visual on film. Physical, edgy player, finishes to echo of the whistle.